Widgets (sometimes called plugins) are an easy way to introduce added functionality to your hotel's website or automatically pull through updated content. When used well, widgets can turn a plain webpage into something quite impressive for users. A widget is a small piece of code, often provided by a third party, which allows you to display self-contained content on any HTML webpage. Widgets usually have some special functionality, such as automatically updating with fresh content pulled from somewhere else, or allowing users to perform specific actions. The different types of widgets available are almost endless, from website hit counters (so 1990s) to widgets that allow you to chat with visitors on your site (so in right now). For hotels, the most popular types of widgets are guest review widgets and hotel booking widgets, although there are some others that you might find useful, which we’ll cover later. Some major sites like TripAdvisor and LateRooms offer free widgets for hotels and others in the hospitality industry to embed in their own websites. These types of widgets will automatically pull fresh reviews or updated ratings from the source website directly onto your own webpage. Why would you want a guest review widget? Quite simply, people want to know as much as possible about a place before they spend their time and money visiting it. Embedding a review widget on your website allows potential guests to read unbiased feedback from your previous guests without them having to leave your website to visit an external review site or online travel agent (OTA). Learn more about "social proof"
Hoteliers are often wary of review widgets that pull content from other hotel review sites because they cannot control what content gets pulled. If you get a scathing one-star guest review, it too will be displayed on your own site. However, some research suggests that this might actually not be such a bad thing. Consumers shopping online convert almost 70% more when they can see negative reviews along with the positive ones, and around 68% trust the reviews more. Furthermore, 95% of online shoppers suspect that reviews may have been censored if they don’t see any negative ones. Granted, this research was mainly conducted with online shoppers buying goods rather than travellers looking for hotels, but the psychology behind the results is likely to be quite similar. Your responses to negative guest reviews can also improve people’s opinions of your business. According to TripAdvisor, more than 60% of their users say that a good management response to a bad review makes them more likely to book than if there was no response, and 80% said that they think a hotel cares more when it posts management responses. TripAdvisor offers a number of different widgets to hotels with TripAdvisor listings. Some are simply buttons and badges, and others show ratings and reviews. This widget pulls through the titles of a few of your most recent reviews, your TripAdvisor ranking and your TripAdvisor traveller rating. If your reviews are mostly positive, this is the way to go. If you have a lot of mixed feedback, but a few excellents, try the bravo widget instead. Hotels have to qualify to be allowed to display this widget. If you qualify, it is a great way to make the most of your excellent reviews without having to show people the negative ones; this widget only displays how many “excellent” reviews you have received. To find out if you qualify, check the widget centre. The rave reviews widget shows a rotating carousel of the title of your most recent five out of five review, along with a link to see more. This one is a good option if you want to display a good review but have limited space on your page. This little widget also isn’t available for all properties, so check your widget centre. It is a small box that tells people what percentage of TripAdvisor reviewers would recommend your hotel. This widget simply displays your traveller rating. It is a great way to go if you have a high rating but a relatively low rank – perhaps if you are in a large city with many hotels to compete with, or only a few reviews. Remember, your ranking is affected by more than just your rating. TripAdvisor also offers badges to hotels who have achieved certain criteria or won TripAdvisor accolades. Check your widget centre to see if your hotel qualifies for any of these. If you really want to encourage online bookings and don’t mind where they come from, some OTAs offer free booking widgets that you can embed on your site. 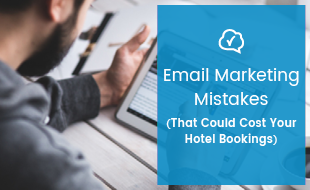 Ideally however, any booking widget you use on your own hotel’s website should encourage visitors to book direct, and save you the commission of having them book via an OTA. There are many online booking software service companies, which sometimes double as property management systems, that provide their customers with a booking widget for integration with their website, and large hotels sometimes even employ developers to create their own online booking applications. However, if you are on a limited budget, you don’t have to get that fancy when it comes to online booking. If you have a website, all you need is a form for prospective guests to fill in that sends you a mail with their details. You won’t be able to take online payments and automatically book out rooms, but it will still do the trick of encouraging people to book direct. If you are into web DIY, you can find a simple contact form template here. Emailmeform.com is also a good option and has a couple of advanced features, like reporting and online payment functionality. There are paid and free plans available. If you struggle to find time or the technical expertise to update your site regularly, but are active on social media – always a good idea – then embedding social media widgets on your site will keep your site content to looking fresh without you having to actually update your site. They also serve the purpose of directing people to your hotel’s social media pages and getting you more views, likes, follows and engagement. Facebook offers a number of widgets (which they call “social plugins”) for users to display on their own sites. These widgets range from simple like and share buttons, to a page feed and comment widget. If you know your way around code a little bit, you can also use modified Facebook plugins that do clever stuff with jquery, like sliding out or popping up. Twitter also offers a number of widgets that can display different types of content, such as your hotel’s own tweets, a curated list of tweets (like tweets by other Twitter users who have had a good time in your area, maybe?) and curated media content displayed in an attractive grid layout (photos of the beautiful landscape near your hotel, perhaps?). Weather widgets are a great idea for holiday hotspots (excuse the pun), especially if many of your guests are foreign. By displaying the current weather right on your site, you can reassure tourists that the climate is perfect for beach-going, skiing, surfing or any other weather-dependent type of holiday. If your hotel is in a country with a weak exchange rate, reminding international visitors that they can get around 22 South African Rands for every British Pound (for example) may well sway their decision. If you make travel easier for your prospective guests and let them search for flights right on your hotel’s website, they might regard your hotel more highly simply for being helpful before they even get to you. This one is actually better described as essential than nifty. Your website is for people about to travel. What do you need when you go somewhere new? A map and a toothbrush. Google maps allows you to embed an interactive map on your website with your location plotted on it. Toothbrushes are sold separately. If you use a big CMS like WordPress, Joomla or Drupal, you can find loads of plugins developed specifically for that CMS that are very easy to install. There are far too many to discuss here, but have a browse and see what’s out there. As we said, when used well, widgets can make your site shine. However, when they are used badly, they can make a site look amateur and cluttered. Consider the design and layout of your site before you add any widget. Often free widgets are quite limited in the amount of customised styling that they allow, and a widget that clashes terribly with your design or takes up too much space is probably not a good idea. 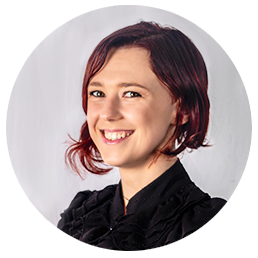 Finally, don’t be tempted to add every widget you can get your hands on to every page of your site, rather carefully consider what visitors to your site will find most useful and include just a few. 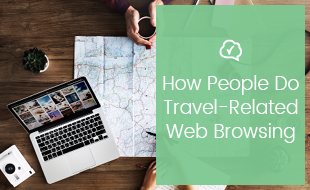 Knowing how people do travel-related web browsing can help you to focus your marketing on the right audience, and make sure that your website, social media and listings are being found. Click on the banner below to download our free infographic booklet.